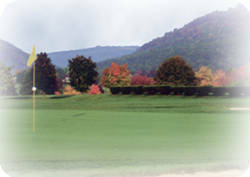 The 18-hole LedgeRock Golf Club in Mohnton, PA is a private golf course that opened in 2006. Designed by Rees Jones, LedgeRock Golf Club measures 7245 yards from the longest tees and has a slope rating of 153 and a 75.6 USGA rating. The course features 5 sets of tees for different skill levels. Greens and fairways are bent. 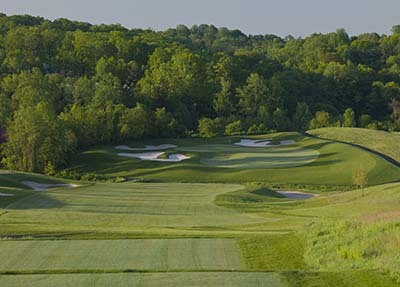 The Ledgerock Golf Club is located near Reading, Pennsylvania. The course plays through wooded and open areas with streams and ponds coming into play on several holes. The most outstanding feature at Ledgerock is the dramatic topography. The elevated tee and green locations offer long vistas of the surronding countryside and enhance the playability of this outstanding venue.